Cengage Learning Asia will be the exclusive print distributor for BEP and MP products in Asia. The Case Centre is an independent, not-for-profit organisation dedicated to promoting the case method in business education and sharing their world-leading knowledge and expertise in case teaching, writing and learning. Harvard Business Publishing was founded in 1994 as a not-for-profit, wholly owned subsidiary of Harvard University. Its mission is to improve the practice of management and its impact in a changing world. Harvard Business Publishing has approximately 300 employees, primarily based in Boston, with offices in New York City, India, and the United Kingdom. HBP has chosen over 30 BEP books to feature in their online digital content. Click here for the entire list of titles. The International Society of Service Innovation Professionals promotes the professional development, education, research, practice, and policy work of its member individuals and institutions working hard to improve our world’s diverse, interconnected, complex service systems. Become a member today to receive a discount on this title. Foresight : The International Journal of Applied Forecasting provides thoughtful perspectives and practical solutions for creators and users of business forecasts of all kinds. Covering everything from forecasting methods and forecasting software to the global economy and emerging business processes, Foresight shares the insights of and encourages dialog among forecasting practitioners and experts from around the world. Foresight is published by the International Institute of Forecasters, a non-profit organization whose mission is to advance the practice of forecasting through education, research, and outreach to business, government, and academic organizations. ASQ is a global community of people dedicated to quality who share the ideas and tools that make our world work better. With millions of individual and organizational members of the community in 150 countries, ASQ has the reputation and reach to bring together the diverse quality champions who are transforming the world’s corporations, organizations and communities to meet tomorrow’s critical challenges. The Center for Services Leadership (CSL) is a research center within the W. P. Carey School of Business at Arizona State University (ASU) and an outreach arm from ASU to the business community and the global academic community. The CSL has established itself as a globally recognized authority on how to compete strategically through the profitable use of services. 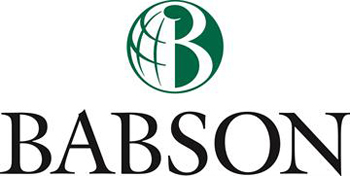 The Babson College Entrepreneurship Research Conference was founded by Babson College in 1981, and is considered by many to be the premier entrepreneurship research conference in the world. It was established to provide a dynamic venue where academics and real-world practitioners, through spirited dialogue, could link theory and practice. BEP has a BCERC Collection, with Andrew “Zach” Zacharakis as Editor, and those titles can be seen here.